CFTC FCM data shows that the retail foreign exchange market grew by 1.3 percent month-over-month. The US Commodity Futures Trading Commission has reported its latest data collected from Retail Foreign Exchange Dealers (RFEDs) operating under its jurisdiction for the first month of 2017. The statistics show that the total size of the retail market in January managed to grow on a month-over-month basis. 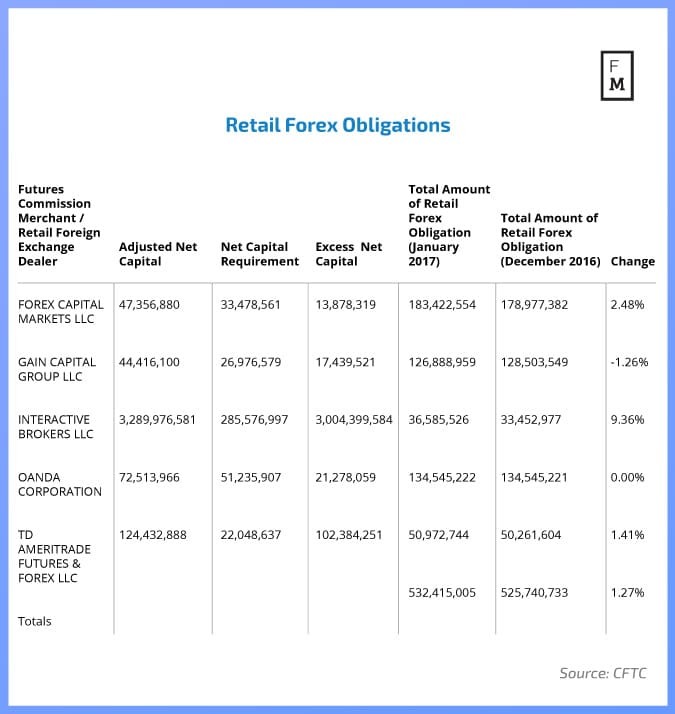 More specifically, retail forex obligations of the companies amounted to $532.4 million, justifying a growth of 1.3 percent on a month-over-month basis from $525.7 million in December 2016. For the second month in a row, Interactive Brokers secured the widest margin of growth, growing its forex obligations by 9.4 percent month-over-month. The remaining composite of brokers all managed to finish positively in this space with the exception of Gain Capital, which lost -1.3 percent month-over-month in January 2017. FXCM also continued its streak as the biggest brokerage in the US with OANDA a distant second, followed by GAIN Capital. 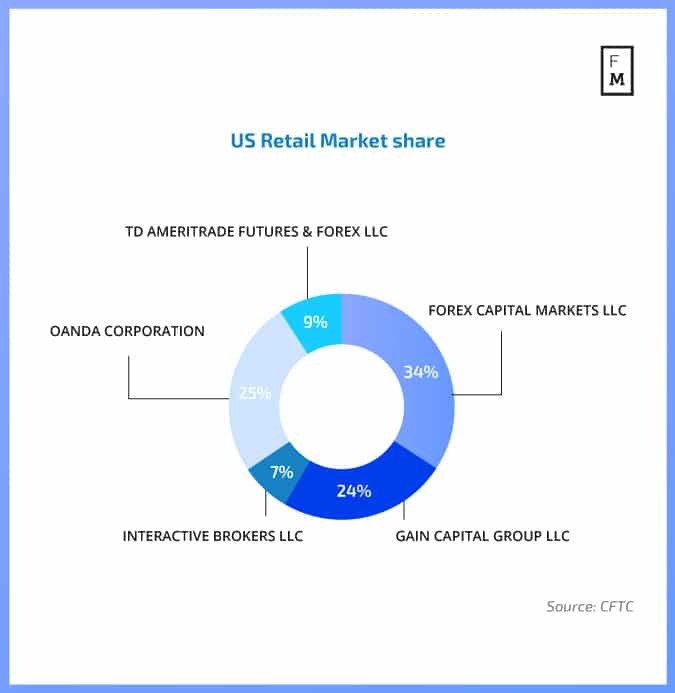 Overall FXCM in January 2017 34 percent of the US retail forex market with OANDA following with 26 percent, while GAIN Capital’s share decreased by one percentage point to 24 percent. TD Ameritrade has about 10 percent of the total, while Interactive Brokers is last with about 6 percent. Looking ahead, the next batch of data in February 2017 is likely to feature a shakeup given the fallout of FXCM and its consequent regulatory crackdown.